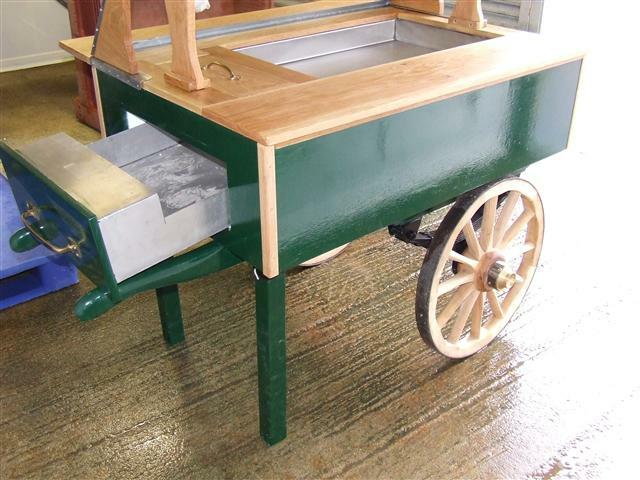 We are able to build a (Market) barrow to your specification. 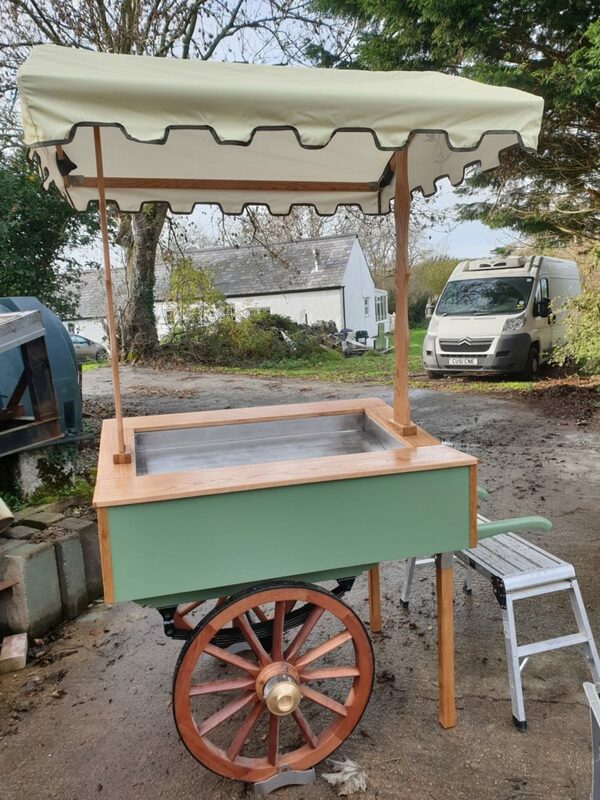 We have built oyster barrows to date but these have been very different, both in terms of size and functionality.We are also available to open oysters from the barrow for your special event. 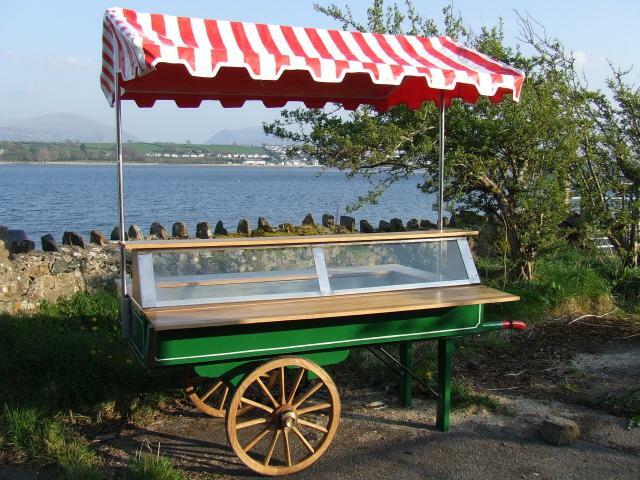 We have served oysters from this barrow at weddings previously, again contact us to discuss you requirements. 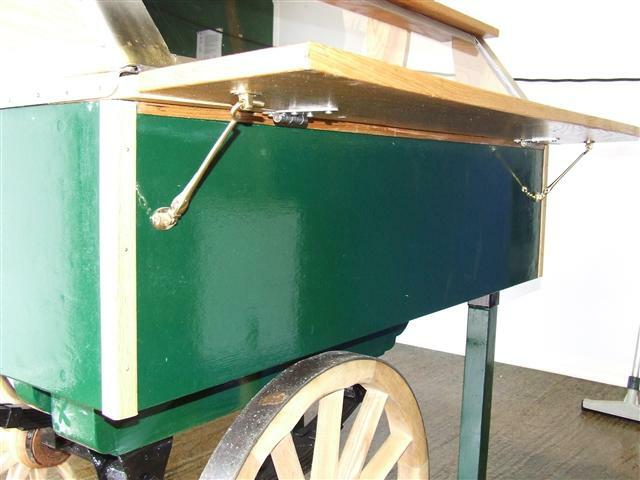 We only use high quality materials with genuine wheelwright fully functional wheels. 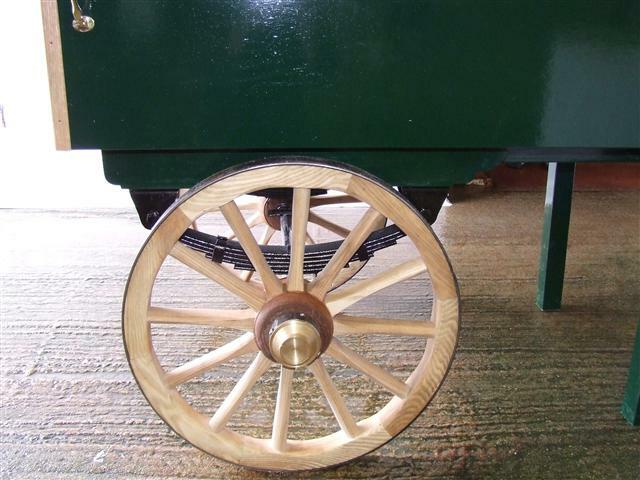 We chose the traditional wheels over their decorative counterparts for both longevity and their look. Look after them and your great grandchildren will still be using them. 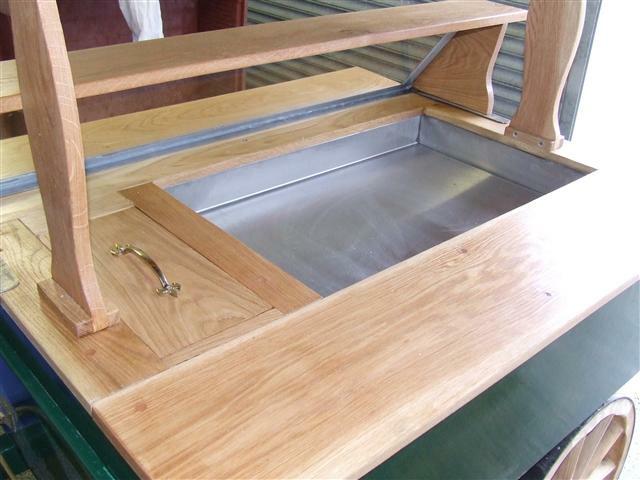 All exposed wood is oak and the metal stainless steel. This is our barrow. 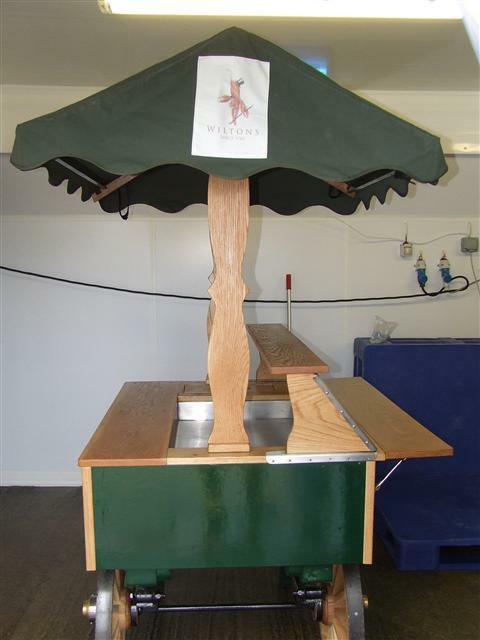 It consists of a 2m long front with a folding shelf. Length including handles is 2.45m. The inside is a stainless steel tray in which produce can be loaded. There is a 30cm wide shelf on top of the glass, as well as a 30cm wide shelf at the rear. 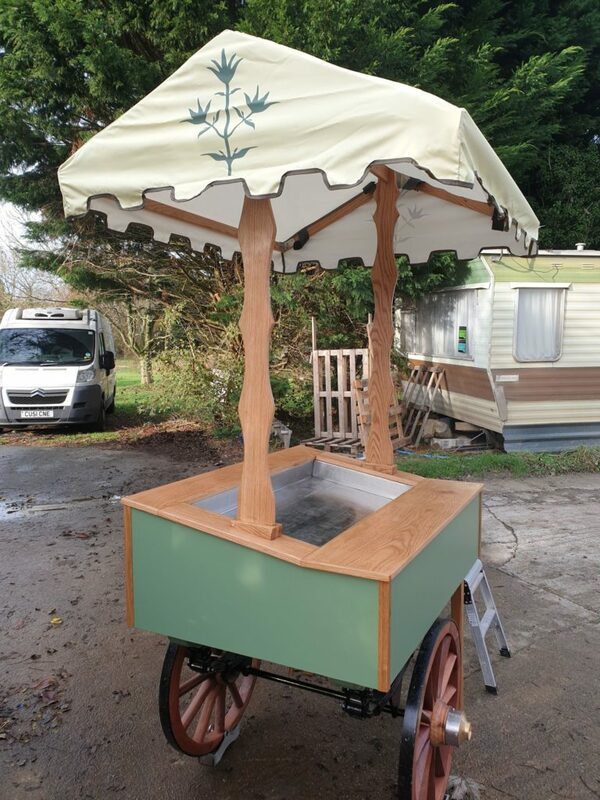 The following images are of a barrow that we have built for Wiltons Restaurant in London. 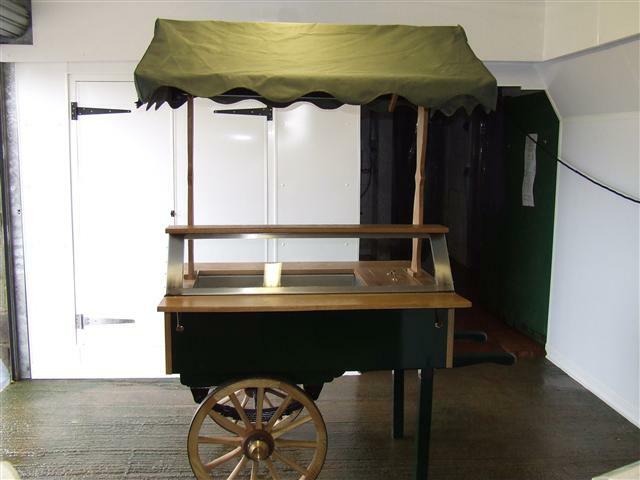 They required a smaller barrow, with a canvas canopy displaying their logo. 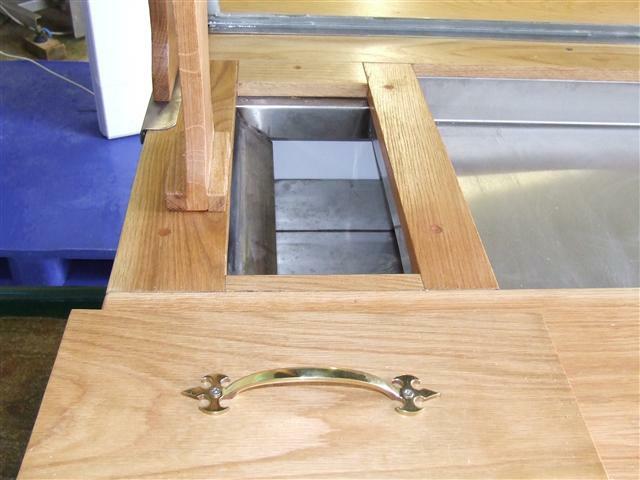 They also requested a hidden shell disposal area and this was achieved with a special drawer tray. The canvas is supported on an oak frame. 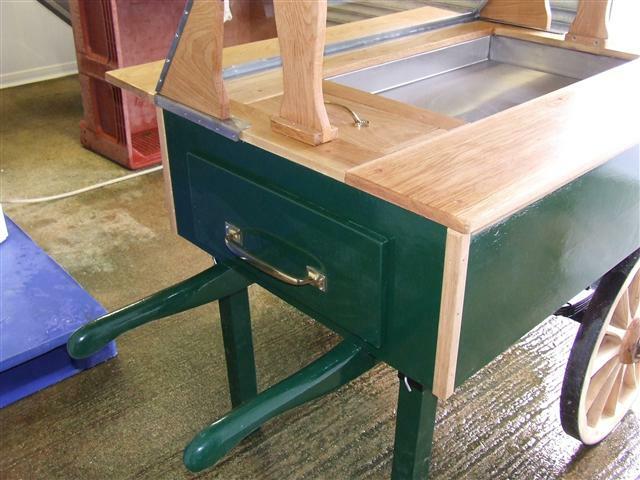 Another barrow we built for Thyme Hotel, Spa, Farm and cookery school. Get in touch today for a quotation!